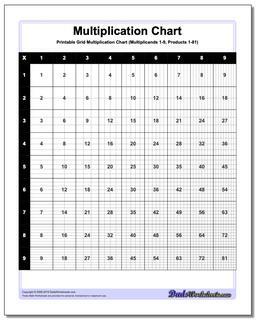 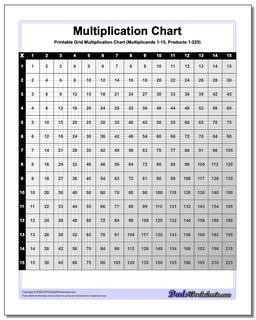 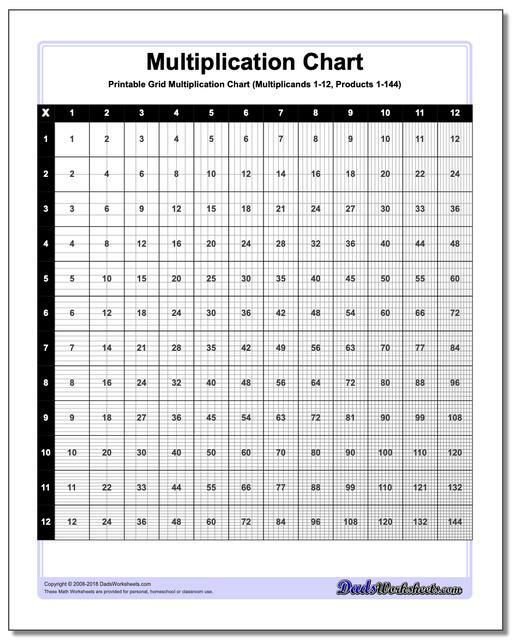 This printable chart presents the multiplication table with cells divided to reflect the actual product. 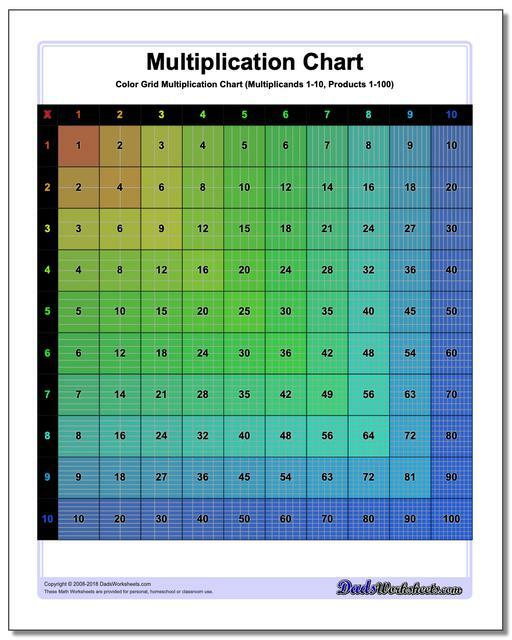 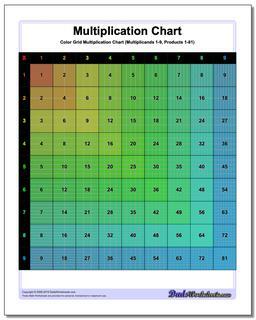 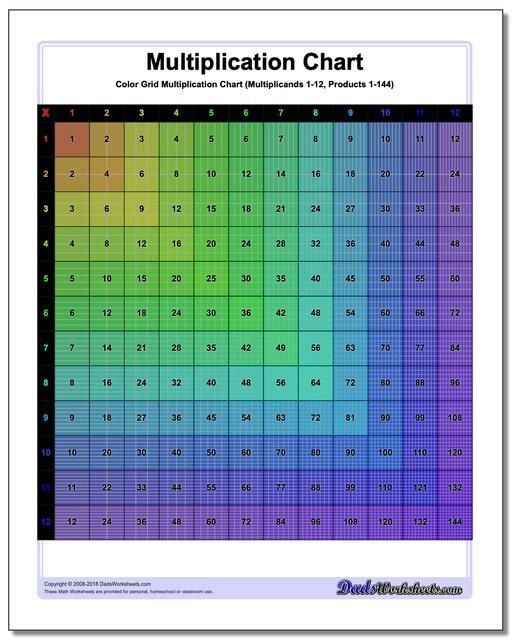 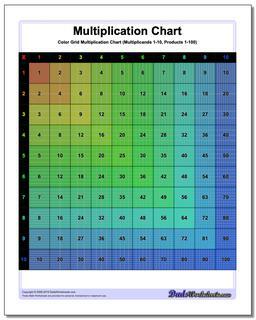 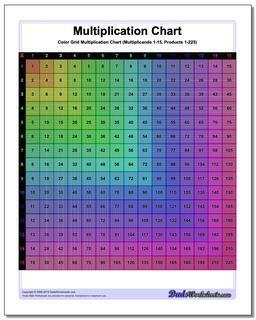 Separate black and white and color versions of the multiplication chart, each with ranges 1-9, 1-10, 1-12 and 1-15. It can be helpful to visualize multiplication products when learning the times table, and these printable multiplication charts really help. 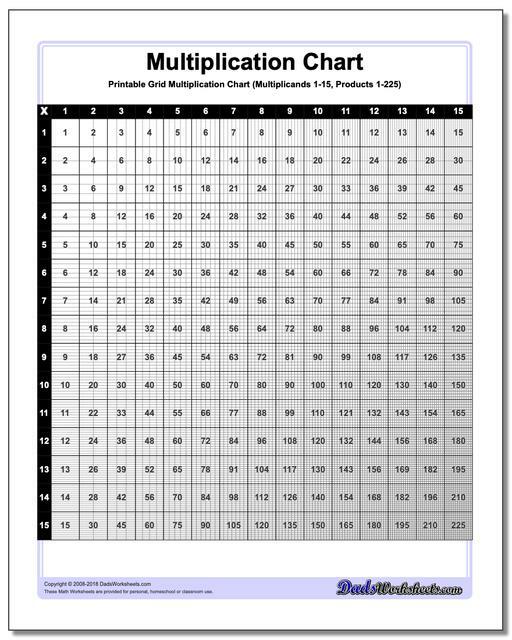 Each version divides the products into cells, so the multiplication chart up 100 will have in its final cell 100 tiny squares. 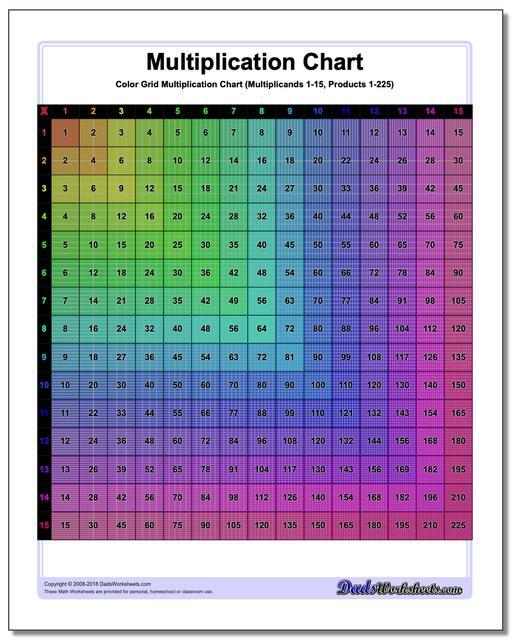 Don't try to count them.